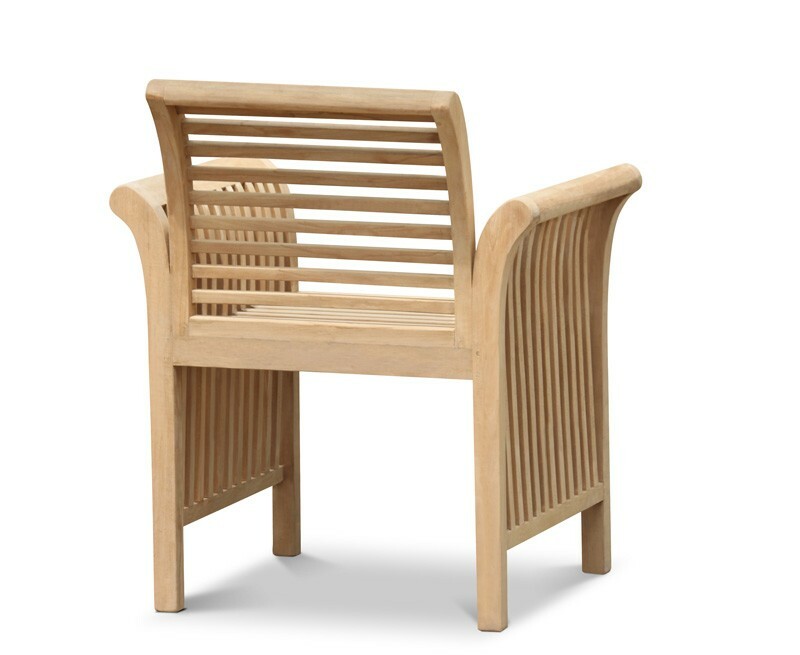 Our Aero contemporary teak garden armchair can be used around the garden as a standalone seating solution, or it can be paired with one of our dining tables to complete a garden furniture set. 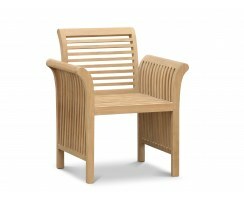 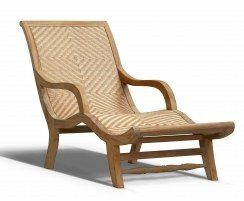 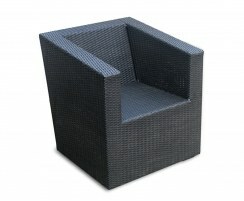 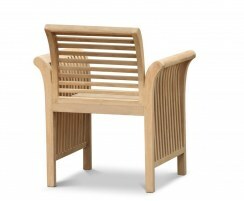 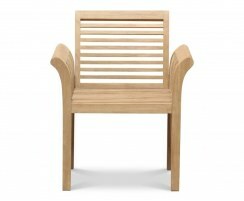 Featuring an intricate, linear design, this interesting outdoor armchair will instantly modernise your setting. 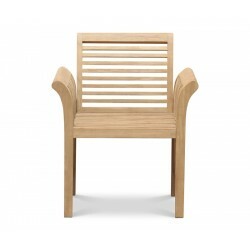 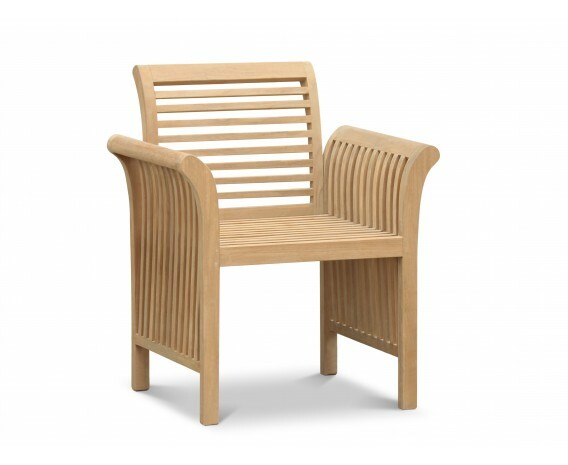 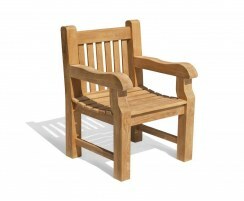 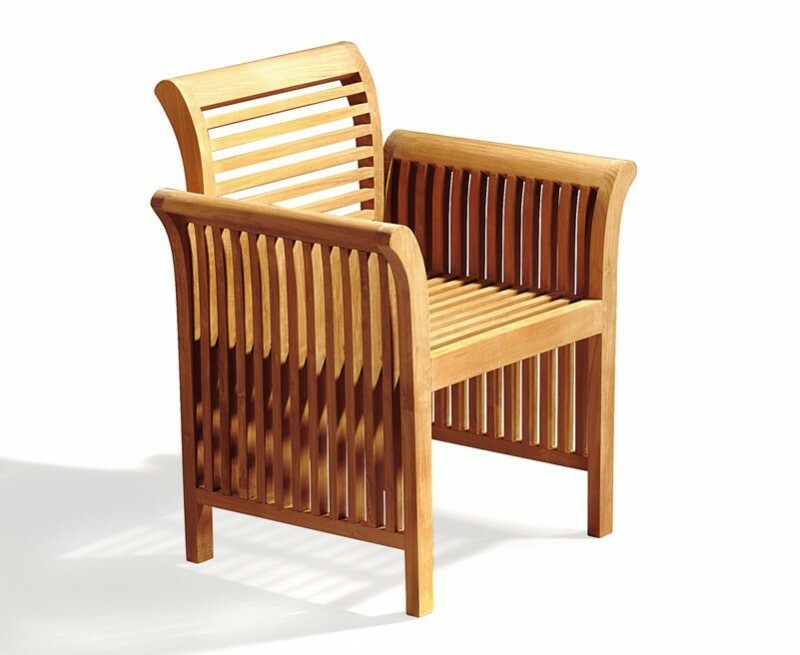 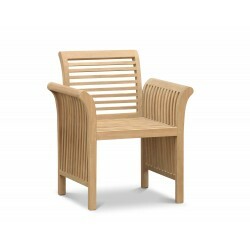 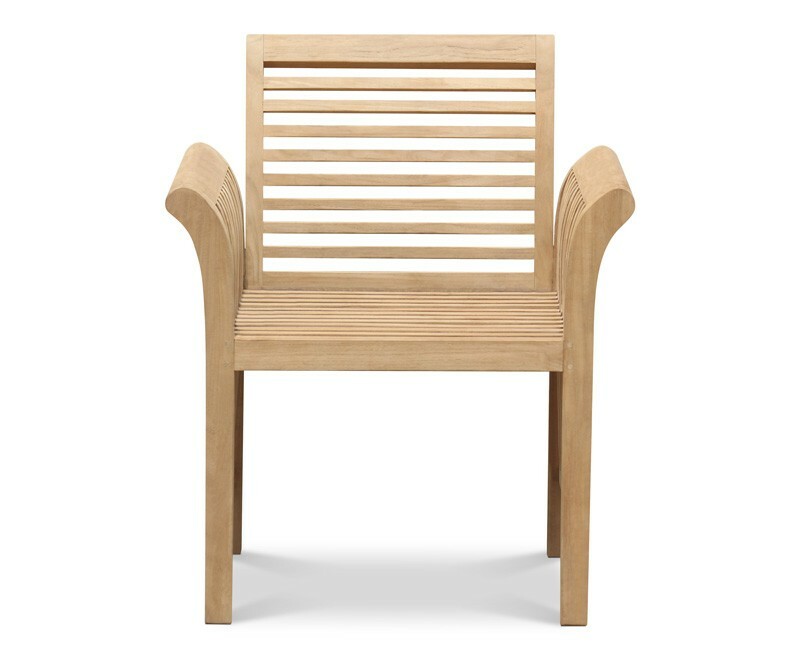 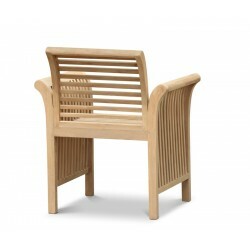 This Aero contemporary teak garden armchair has been expertly constructed from sustainable, durable grade-A teak using tight-fitting mortise and tenon joints. 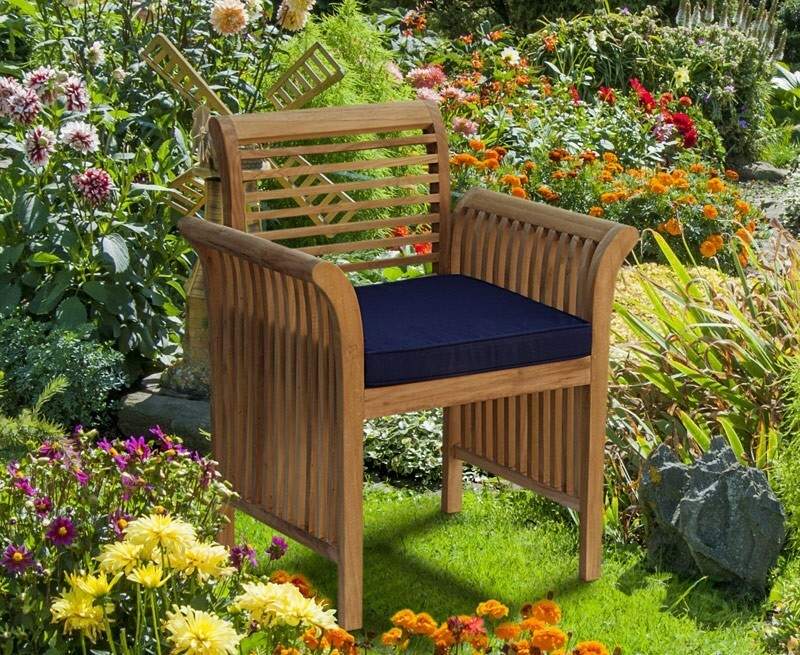 This wooden garden chair can remain outdoors all year round no matter the weather, requiring little-to-no maintenance, and will turn from its light, golden colour to a silver-grey patina if left untreated. 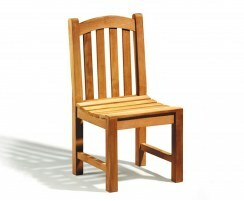 Please note that this item is made to order. 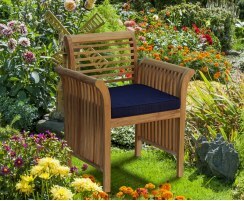 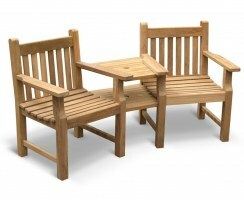 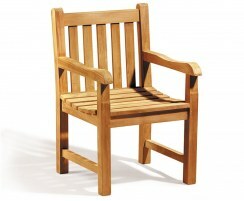 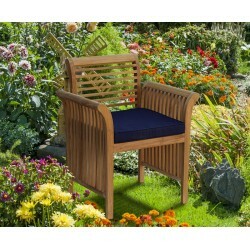 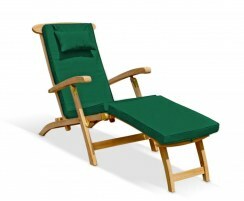 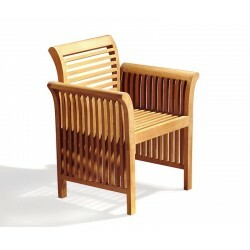 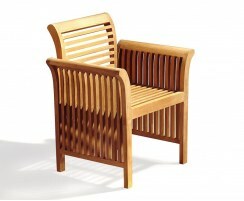 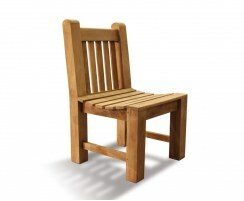 We will deliver this teak garden chair to you fully assembled for your convenience.